Travelling can be a hassle, but Rolls-Royce wants to make it a little more luxurious. 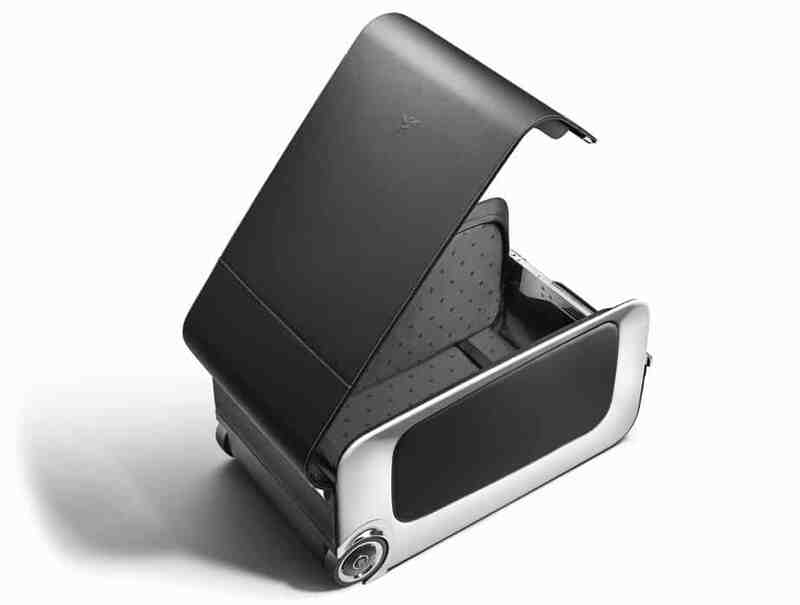 The automaker has designed a collection of elegant luggage for today’s discerning travelers. 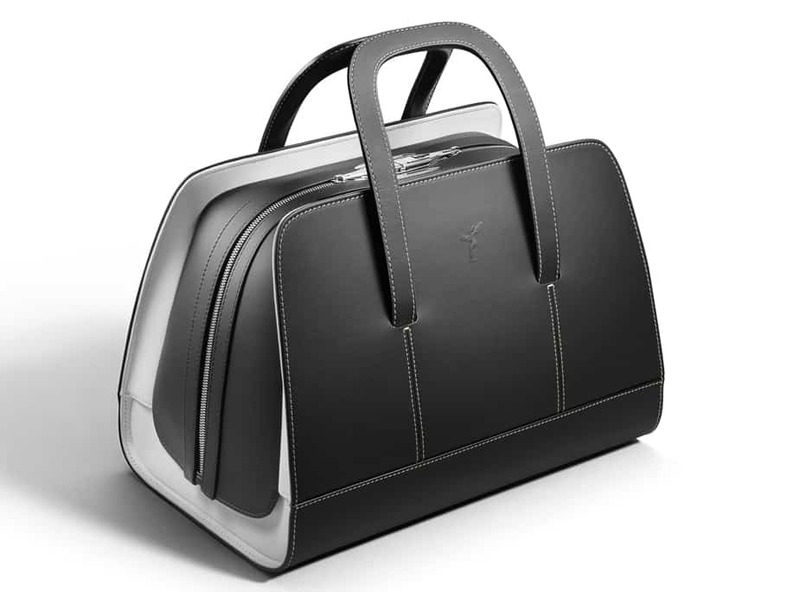 The collection, conceived by Rolls-Royce Bespoke Designer Michael Bryden and designed in the Rolls-Royce Bespoke Design Studio, is comprised of two Grand Tourer valises, three Long Weekender bags, and one Garment Carrier. Particular attention to detail has been paid to the area that most often comes into contact with the owner, ensuring the experience is an entirely effortless one. The handles have been designed for even weight distribution, meaning no undue pressure is placed on the hand. An invisible stitch, a skill honed in the world of Haute Couture and used on the steering wheel of the Rolls-Royce Wraith, has been applied to ensure a perfectly smooth and tactile finish. These subtle design cues and advanced engineering techniques are hallmarks of each individual piece of luggage. The Long Weekender, was engineered to ensure the piece is effortless to carry. Subtle references to the marque can be found in the form of the discrete fastenings, which magnetically dock, providing optimum designed resistance formed from a solid billet of machine polished aerospace-grade aluminium. 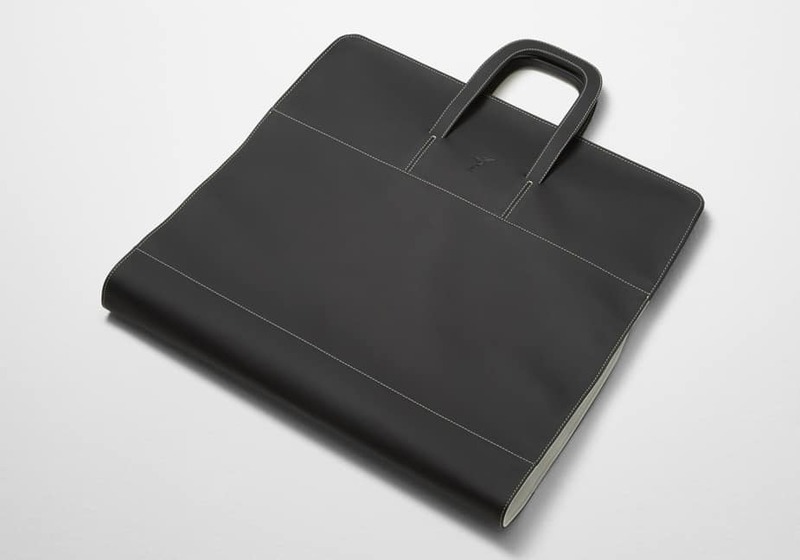 The Garment Carrier, a sleek and slim-lined addition that sits seamlessly atop the Long Weekenders and Grand Tourers, has been designed to carry a gentleman’s shirt and suit. A loop for a silk tie or scarf is thoughtfully incorporated to provide the utmost convenience. The Grand Tourer is light and durable thanks to its carbon fiber construction. Self-righting wheel centers featuring the Rolls-Royce double-R emblem adorn the Grand Tourer. The strategically placed wheels, specially designed on a wide track to provide a high level of stability, provide an effortless transfer from the ground to the overhead luggage compartment. Each piece in the collection, which features the Spirit of Ecstasy, the flying lady figurine that has graced the hood of each Rolls-Royce motor car since 1911, was built by master craftspeople wearing white gloves to preserve and protect the leather. Designed in a choice of mono or two-tone leather finish, the collection enables customers to personalize their luggage. The Rolls-Royce leather is hand-stitched using the same color thread as featured in the Rolls Royce Wraith and lined with a monogrammed lining discreetly featuring the Rolls-Royce emblem. 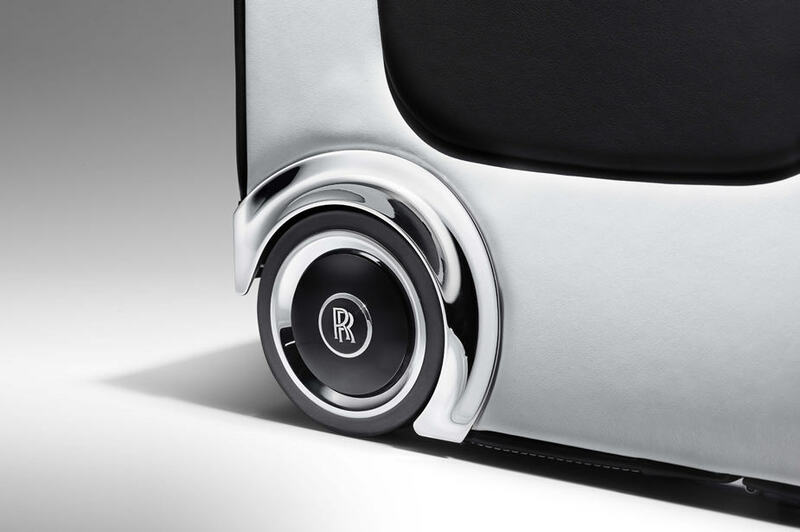 The Wraith Luggage Collection is available from Rolls-Royce Dealerships. The six-piece set will cost $42,606 (pieces can be bought individually). At this price, checking your luggage is not an option.